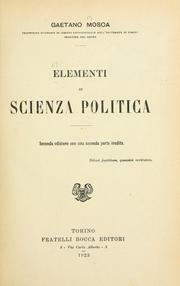 Teorica dei governi e governo parlamentare .. 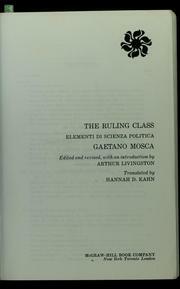 Political science, History, Accessible book, Mafia, Crime and criminals, Political science -- History, Politics and government, Abuse of administrative power, Addresses, essays, lectures, Constitutional history, Elite (Social sciences), Ferrero, Guglielmo, 1871-1942 -- Correspondence., Histoire, Historians -- Italy -- Correspondence., In library, Internet Archive Wishlist, Labor unions, Mosca, Gaetano, 1858-1941 -- Correspondence., Ombudsman, Ombudspersons, Organized crime, Pavio, Pavio. 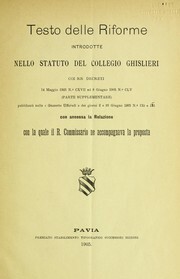 Collegio Ghislieri, Philosophy, Political scientists -- Italy -- Correspondence. Are you sure you want to remove Gaetano Mosca from your list?